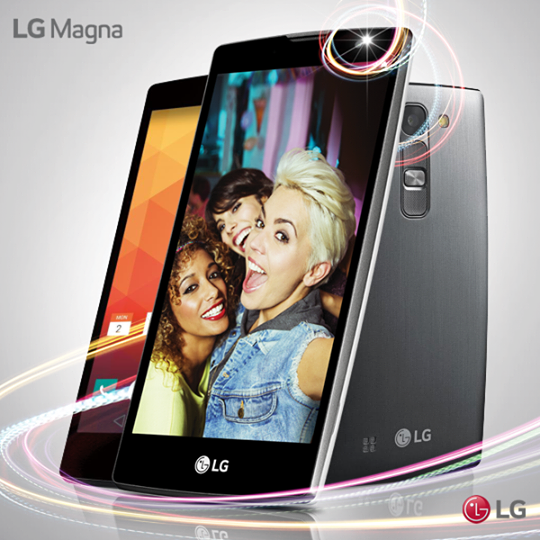 The LG Magna is now available in the country. It has been released last February with LG Spirit, Leon and Joy. Check out the rest of the device's specs here. LG Magna is now officially the latest mid-tier offering of the Korean outfit in the country. The device had taken the international stage along with the LG Spirit, Leon and Joy last February. Now, the device hit the Philippine shores with Php 10,990 price tag. LG Magna's specifications are quite basic. It packs a 5-inch HD display with 720 x 1280 pixels which is highlighted with its curved construction. The iconic rear key design philosophy that we have seen in LG's high-end phones is also present. Some of the lauded software tricks are also included in the package like the Knock Code and Gesture shot to name a few. The LG Magna will be powered by a 2540 mAh battery and Android 5.0.1 Lollipop on the get-go. Check out the rest of the specs below.